Curtains came down on a two-week partnership between Football Kenya Federation and the Colombian Embassy in Kenya, with a tourney dubbed “the Champions for Peace tournament”. Held at the Riuru Stadium, the tourney saw the National U15 team emerge champions, following wins over Acakoro U15 and Ligi Ndogo U15, and a 1-0 loss to the National Women team, Harambee Starlets. “We are happy to partner with FKF. It is our hope that these partnerships will realize growth in the Kenyan Football industry,” said Colombian Ambassador to Kenya, Elizabeth Taylor, during the closing ceremony. The partnership saw coaches taken through an interactive session with Colombian FA coaches Christopher Moreno and Eduardo Tomallo. The coaches then had an outdoor practical session at the Barclays Sports Club. 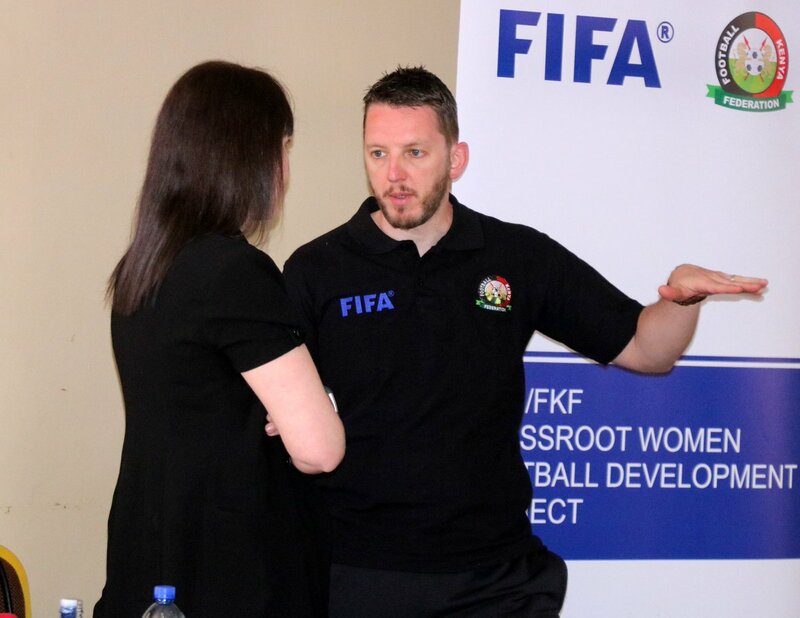 Further, the coaches from the Colombian FA had a session with the National U15 team, as well as the senior national women team, Harambee Starlets. Mathare United Women, which plies its trade in the FKF Women Premier League, also had a session with the coaches.